Don’t even ask what I’ve been doing these days. I just want to.. Sleep. At least a day where I don’t sleep less than five hours. Anyhow, some bishies before I go to bed. Dousetsu’s Arc was unexpectedly short but is still bittersweet. Unlike the previous arcs of the guardians, Dousetsu’s Arc is fight-free and neatly done in an anticlimactic way. It is not disappointing though, since both of the siblings are reunited in a way. Who wants Hamaji x Dousetsu? A little bit of Hamaji’s past, Dousetsu-related, is revealed in this episode. It turned out that Dousetsu and Yanagi, Hamaji’s other name, were separated when Hamaji was just a kid an Dousetsu a highschooler. They were separated after their parents’ death, with them being adopted separately. Dousetsu promised that he will find her later, a promise Hamaji has forgotten… Until she sees Dousetsu in the city. Instead of having a heartwarming reunion, Hamaji treats Dousetsu as a stranger, making Dousetsu decided to live in the city since Hamaji is there. 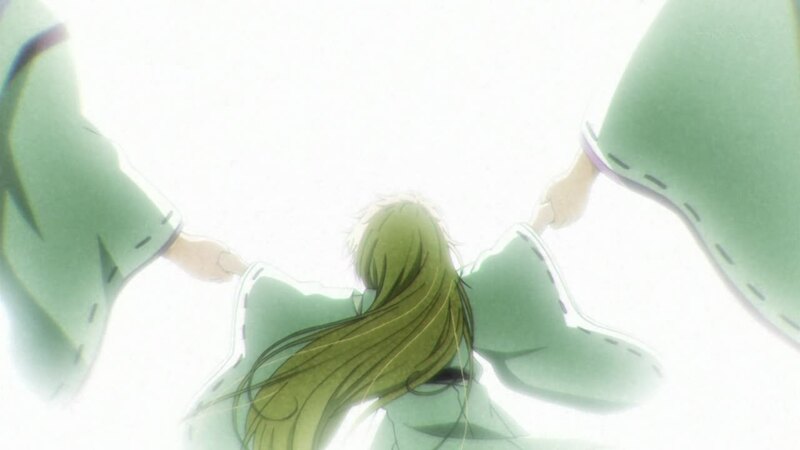 A silent and yet satisfying ending to Dousetsu’s arc. Though both of them meet again as strangers, both of them are happy. Dousetsu finally sees her sister again, and Hamaji has her faith to her brother restored. What is there not to happy about? Sure, both of them might not be able to treat each other as siblings, but their loves to each other do not have to be expressed through actions. Take a look at their eyes, and their affection to each other can be seen. Some love can only be expressed with actions, but their love is a love that is beyond action and words. 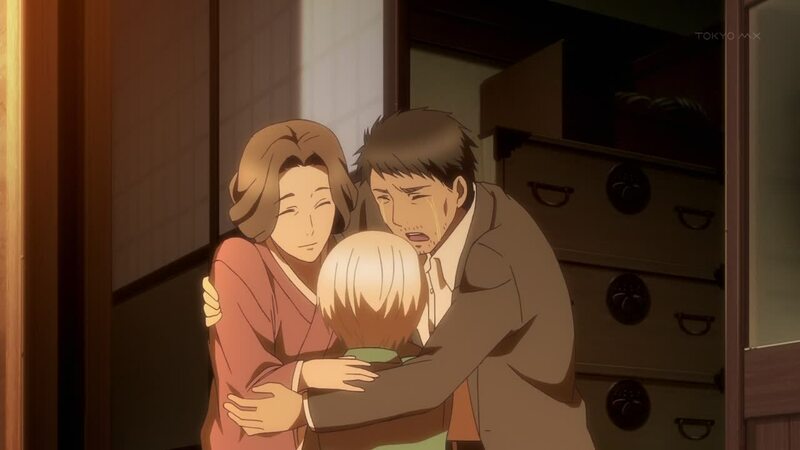 The most tragic arc in Hakkenden that made me all gyuuuu and Natsume Yuujinchou-feels. Tragic but also loving in a way because this arc proves that a child’s love to his mother is even beyond his death. Akihiko is the representation of every child in this world. He loves his mother more than anything else in this world, even more than loving his own father. This love of his is what drove him to search for bell flower, the rumored flower that can heal any sickness. 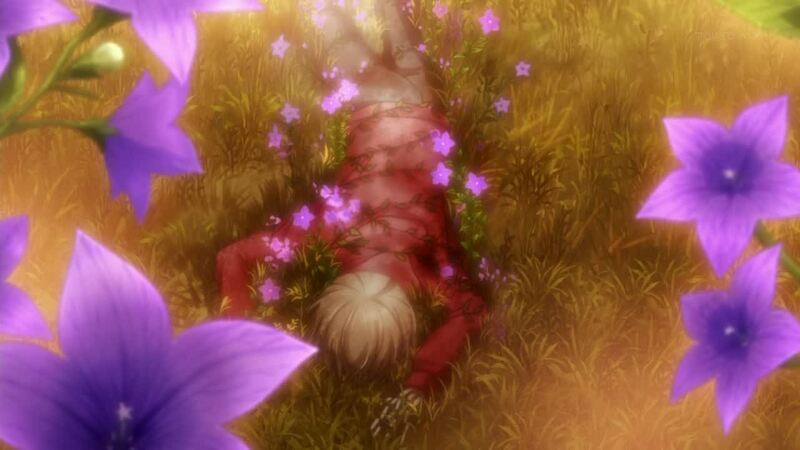 This love of his also is the cause of his death, falling into the cliff that is filled with bell flowers. And yet Akihiko lives. Well, let’s just say “lives” because it is just the bell flower pretending to be Akihiko, waiting for the mother to come back home so that she can be given bell flower – Akihiko’s last wish before his death. 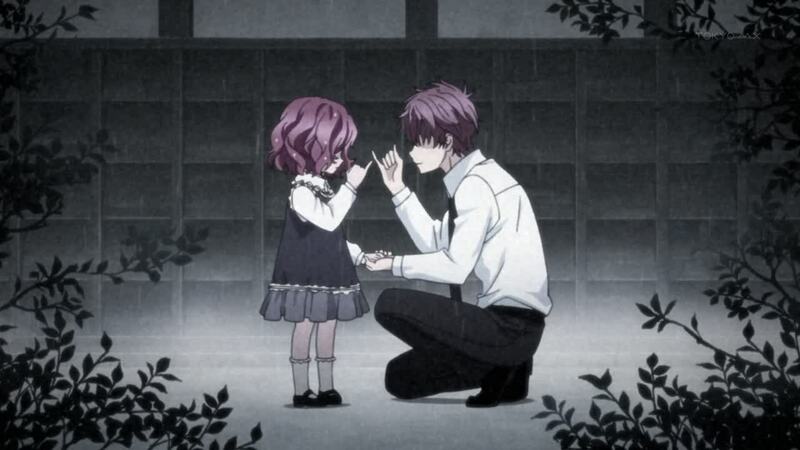 He loves his mother so much even the bell flowers granted his last wish personally. Though this tragic example is supernatural and fictional, this is enough to show that a loving child who is raised up with love will always love his mother, no matter what. Of course, we can also see this in another way: do not underestimate children. Children might seem weak and powerless, but there is more to them than that. I mean, if the fictional Akihiko can do such amazing thing, just because of his love, imagine what real kids can do. The eighth and last guardian, Shinobu finally remembers what happened when he was spirited away. Unlike Akihiko, he wasn’t loved by his mother. 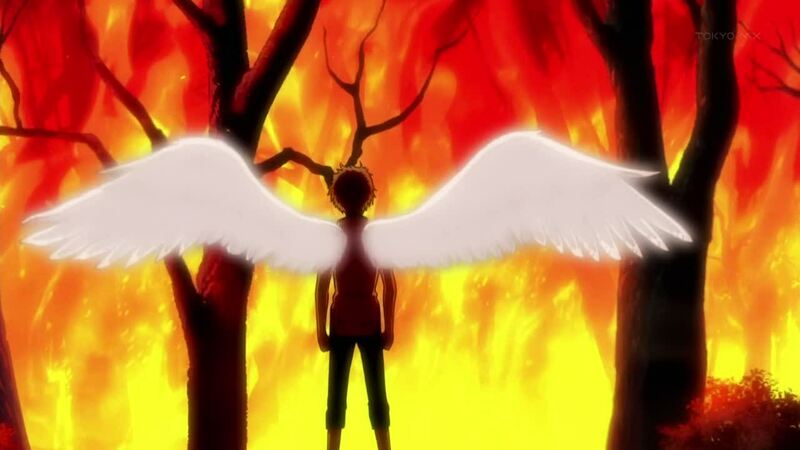 His mother planned to throw him into the cliff, but this evil intention caused the doom for the two, with Shinobu being saved by a Tengu (which has the possibility to be his father). However, this “father” was “murdered” when a monk tried to “save” Shinobu by getting Shinobu back to the civilized human life. The monk saved Shinobu, thinking that Shinobu is happier if he’s with his grandmother. Well, sure, he is happy, but I’m sure he will be happier if he’s with his fellow Tengu. After all, the one who raised him up were the Tengu, not the grandmother who ignored him when he was locked in the attic. The monk’s salvation is nothing more than teaching Shinobu the wa of civilized life. Nothing more, nothing less. The monk Shinobu’s away from his beloveds and “killed” Hazuki in a way, and yet Shinobu never blame the monk. I’m proud of Shinobu for accepting things for the way they are – except his father’s death. And unfortunately, he blames himself for his death. Well, not that I can blame Shinobu for blaming himself, since the father was “murdered” when he tried to protect Shinobu from the monk. 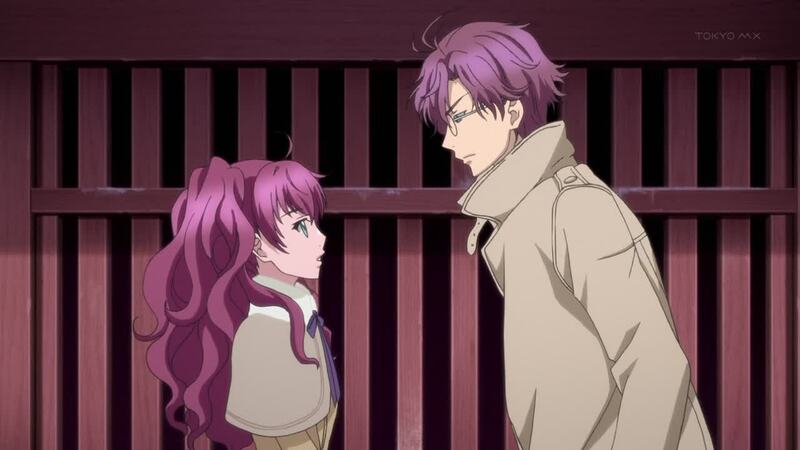 Hazuki is what I call a great father. He showered Shinobu with lots of love even though the possibility of Shinobu being his child is just fifty percent. 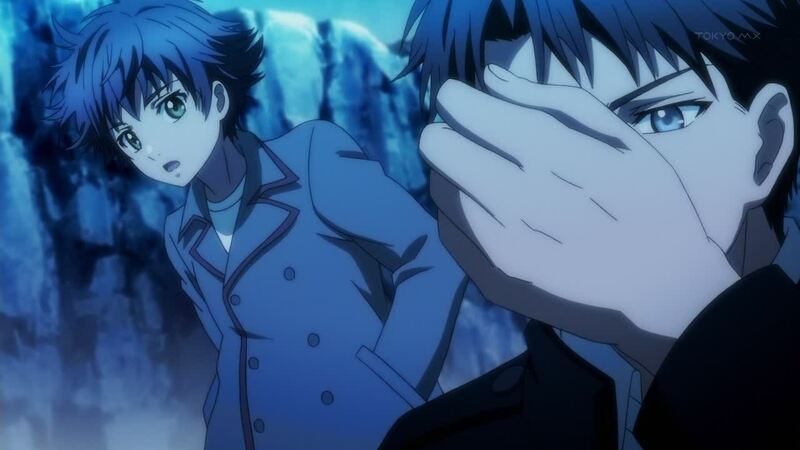 He also makes sure that Shinobu won’t be scarred with is traumatic past with his mother. Seeing the shrine where Hazuki used to live, it is more than obvious that Hazuki is a great god. So really, even if Shinobu is his child, he doesn’t need to bother with him. Shinobu is still half-human after all, and he has a place to go back to. And, Hazuki still loves him just like a fellow Tengu. Love really knows no boundary, isn’t it? 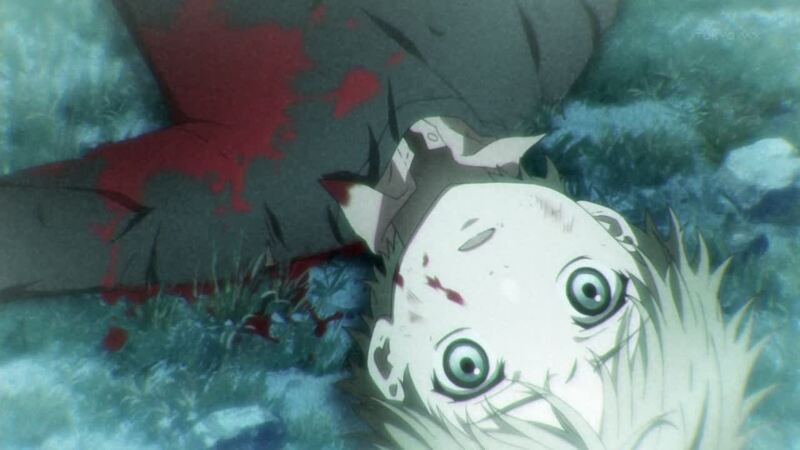 But now Hazuki’s body is completely gone, with Yanagi being predicted to be dead. What can Shinobu do? Revenge, of course. Revenge to the one who killed his famil, which is no other than Ao. Can Shinobu gets his revenge though? 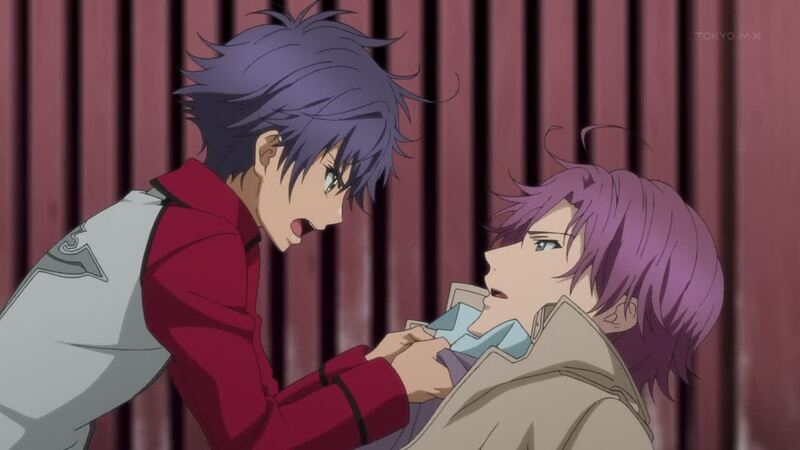 Ao seems to be stronger than how he was before, and this can be seen when Sousuke lost one of this eyes’ vision. Ao also has a strong female boss who is backing him up, and it seems that the evil duo going to experience with Yanagi’s body. 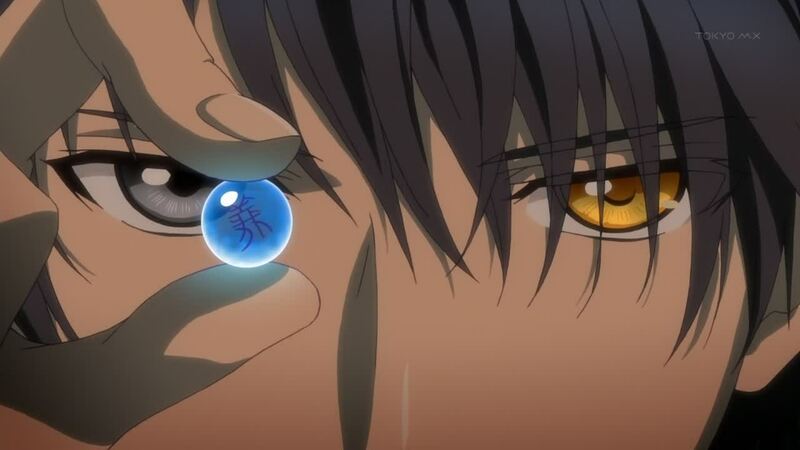 To make it even worse, Sousuke’s bead is in the hand of the female nun boss. The future seems to be bleak for Shino and his party. It was an endless marathon of great episodes. Though Dousetsu’s arc was pretty calm and peaceful, it was a nice break from all the fights and mind blown revelations. I also like how Dousetsu’s Arc has such open ending to the two’s relationship, giving the audience the opt to creeate their own stories after what happened to the episode. Viva creativity and self-imagination! 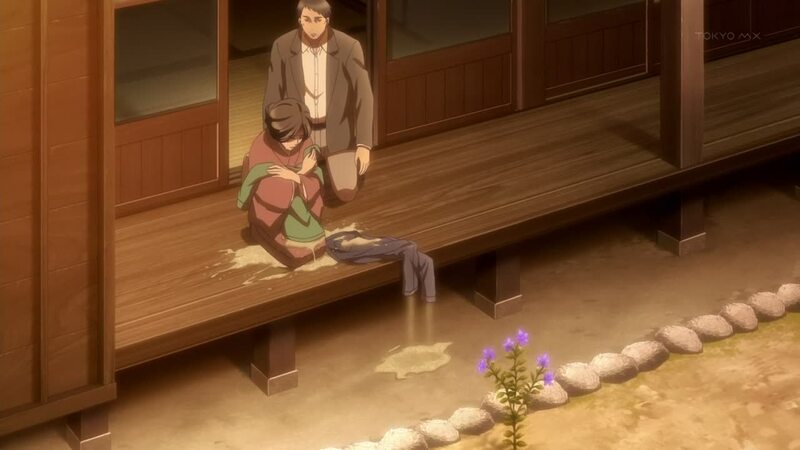 So yeah, not having any of the main characters’ blood spilled in this episode is fine. 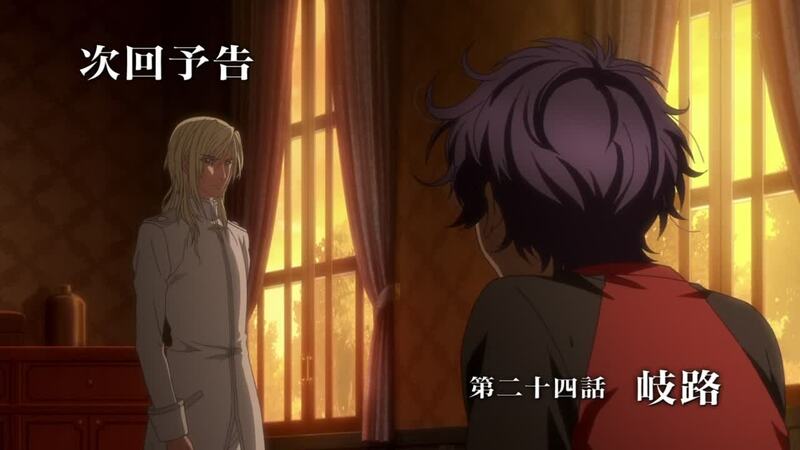 Besides, Akihiko and Shinobu were more than enough to give the weekly dose of Hakkenden mind-blowns and awesomeness. 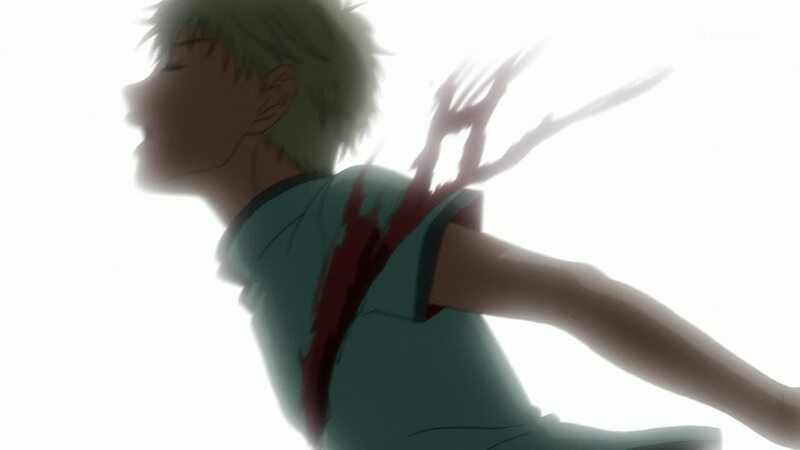 I was literally sobbing my eyes out when I watched Akihiko’s Arc, and my jaw keeps dropping itself with all the climaxes I got from Shinobu’s Arc. Out of all three arcs, my favorite is definitely Akihiko’s Arc. His arc is what I call perfection. Though he had a short life span, Akihiko proved to be a great character whose personality can be felt and experienced by all of us. Such child-like personality of his, who in this world hasn’t experienced it? Of course, the death of his character gives this story more value and meaning, the perfect reason why my tears are worth it to be spilled in this arc. Shinobu’s Arc is… So-so. Well, it’s fine, but it’s not the best either. Though the relationship among the Tengu people is bittersweet, my emotion did not grown as the episode passes by. 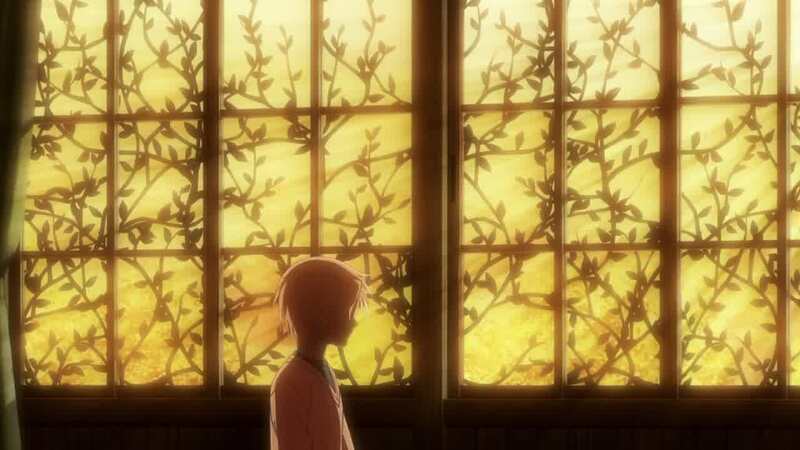 It’s probably because of how Shinobu’s memories living with Hazuki were only shown bits by bits, not giving the audience enough material to sympathize with Shinobu’s problem. Oh well, there were additional of bishies though in this arc, making this arc a feast to the eyes. Too bad the plot wasn’t a feast for the heart. Preview: More talking with Riou. Can we get to the action already? So the guardians are all finally together! 😀 Now…we can move on to the main plot with the princess? 0_o. I really have no idea where this show is going to go from here. I’m guessing it will possibly finish up the Sousuke arc? There’s not many episodes left and a lot of stuff that needs to be wrapped up. Hopefully we are going to get a season 3?